I’ve been putting together a demo the past couple of days for a sales pitch that our sales guys will be going on in a couple of weeks. The demo will be wrapped in Cordova and shown on an iPad Pro and will have lots of full-screen (or at minimum near-full-screen) background images. As you might imagine, those images can be quite large in file size. I’ve compressed them to a reasonable amount but fearing that my view rendering might be less than perfect I’ve decided to write a caching mechanism for them. First I’ve set up the following variables; one that lists all the images that I want to cache, the next is a counter that will be incremented with each image load. * Recursive function that checks for the successful caching of templates and images. In reviewing this I could easily remove the polling and instead do the "complete load check" in each template or image-caching instance where once they have completed their tasks they check the counters vs the length of the template and image arrays. At that point they could decided if they were the last ones to load and then fire the rendering of the initial view if true. Anyway, the above does the job for now. I'll find time to refine things when there's time to be had. As you may know Android has a back button – present as a software back button or in older devices as a capacitive button on the device itself. 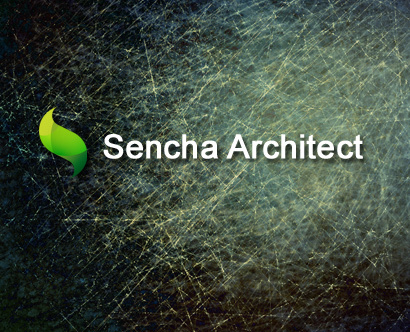 The question is how to hook into it and get your views to change in Sencha Touch. Sure, Sencha walks you through Routes and such, but all I want is something simple, and this technique is just that, simple and easy to understand. This approach uses the browser’s history object and updates it with a hash comprised of the current panel’s id. As you navigate about your app the hash is updated as desired. When the user taps Android’s back button the history object’s back() method is fired. Hash changes don’t cause a page reload so your app doesn’t reload either. After firing the back() method we wait a few milliseconds and then fire our own function to update the view based on the current hash. This works great for an app that is comprised of a single container whose children are the panels that you want to view. More complex structures would require that you get into Sencha Touch’s Routing mechanism (and to be honest, you *should* be using routes). As you can see this is a very simple app – a single container with one level of children. MyApp.appHistory.goBack() – this handles the back functionality for the app. MyApp.appHistory.addHashToUrl() – this updates the location hash. Looking at the above we can see that when the “backbutton” event fires we go back in the browser history then we wait a short bit of time to ensure that the location has been updated before following with the call to navigate back within the app. The last thing to do is to update the hash from within your Sencha application. I’ve placed the ” MyApp.Utilities.addHashToUrl();” method call within my controller’s onButtonTap event which is sufficient for this example. This is a good starting point – you’ll of course need to modify per your specific needs, have fun!